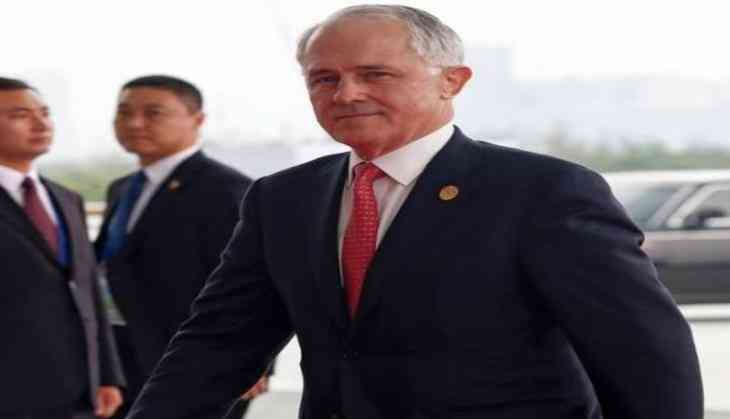 Bilateral talks in areas such as education, trade and defence are likely to be in focus during the forthcoming visit of Australian Prime Minister Malcolm Turnbull to India next week. Prime Minister Turnbull will be accompanied by his Education and Training Minister Simon Birmingham once the visit is finalised. An official announcement of the proposed visit, however, is yet to be made. The Australia India Business Council (AIBC) is reportedly attaching importance to the visit, as both nations see each other as strategic partners and would like to look for ways to strengthen and broaden existing linkages. The bilateral business engagement between the two governments has grown in recent years. Meanwhile, in a separate development, Prime Minister Turnbull is expected to announce measures on Tuesday to boost development assistance and scientific co-operation with Afghanistan. A reporet in the Canberra Times and Fairfax Media, said, Prime MInister Turnbull and Afghanistan President Ashraf Ghani will sign agreements in Canberra on a development aid program that will extend existing funding to 2020 and co-operation on scientific and technical information that will help with economic infrastructure, including for mining and dryland farming. Dr.Ghani is also expected to seek assurance that Australia remains committed militarily to Afghanistan. The Australian Defence Force still has about 270 troops there, mostly training Afghan officers in the capital Kabul and the southern city of Kandahar. Australia has committed to keeping troops there until 2018. Will Sanjay Dutt biopic get delayed? READ NEXT >> Will Sanjay Dutt biopic get delayed?